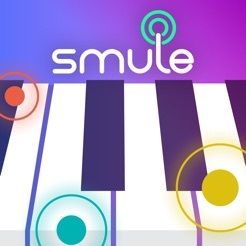 With this application you can play the best piano pieces effortlessly. To do this, simply touch the light rays to control the notes, rhythm and tempo of each song. You must be guided by the application. With AutoRap, if you know how to talk, you can rap. For that you just have to choose your beat among the more than 100 pieces signed Nicki Minaj, Eminem, Tupac or Snoop Dogg. AutoRap consists of three modes: Speech, Rap and Rap Battle. In the Speech mode, you talk to the microphone of your mobile so that AutoRap magically transforms what you say in a rap all that is more authentic. Create your own rap songs with Freestyle Beats or use Premium Songs with titles by Snoop Dogg and Nicki Minaj. FL Studio Mobile allows you to create and record real music projects. The song and loops tool manages multitrack and projects from the PC version of FL Studio . FL Studio Mobile has a 99-track sequencer and includes over 133 instruments of different styles. You can use multiple kits and effects (Limiter, Reverb, Delay, EQ, Amp simulator, etc.) depending on the desired musical style. With this composition tool, you can edit your effects on the fly. FL Studio Mobile includes an option to export and import MIDI, WAC and AAC files. This application will turn your iPhone or iPad into a collection of Touch Instruments and a real recording studio. You will be able to use Multi-touch gestures to play the piano, guitar or drums. These instruments sound like real instruments but allow you to achieve impossible achievements on real ones. You can also connect an electric guitar to your iPhone or iPad and play with classic amps and effects pedals. GarageBand supports up to 32 tracks. You can enhance your GarageBand sound library with in-app purchases or record new sounds from third-party music app.